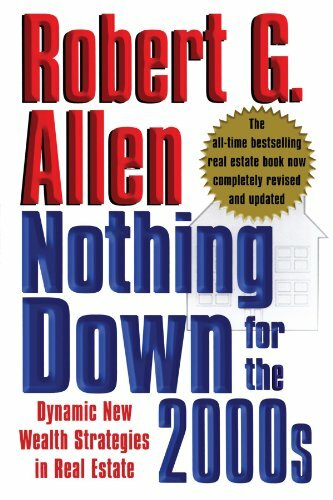 Buy the book Nothing Down for the 2000s for strategies on highly leveraged real estate investing or Multiple Streams of Income which covers more ways of making money from property cheaply from Amazon. You too can earn money from writing articles by signing up for InfoBarrel. What's the attraction with investing in real estate (or property)? How well has real estate done in comparison to the stock market (equities) in terms of increasing the amount invested? First, you need to be able to compare the performance over the same period of time. This isn't as easy as it looks; indices and means of measuring value can change, and may haven't been consistently or accurately measured for long enough to be useful. For the market performance of stocks in the UK, the FTSE All-Share Index, originally known as the Actuaries All Share Index, is fairly old, as it dates back to 10th April 1962 at which point it had a level of 100.
Credit: SXC.HUThe All-Share Index accounts for an estimated 98% of the market capitalisation value of the UK Stock Market, so those companies outside it can have a fairly insignificant amount of influence on the market as a whole. At the beginning of 1975 the index had a value of approximately 128, and at the end of the third quarter of 2013 a value of 3,445. This was an increase of nearly 27 times, not adjusting for inflation. In comparison, real estate performance, taking a house price graph starting at the beginning of 1975 a price of £10,388 for a house had a price, also not adjusted for inflation, by the end of the third quarter of 2013, of £170,918. This is an increase of over 16 times. These figures of course do not take into account other types of property than residential, such as commercial, retail and industrial property, nor do they allow that house prices in different parts of the country - or even the same town or city - can vary widely in performance from the average. The increase in value also doesn't take into consideration the dividend income for equities (which could be reinvested in those same equities, increasing the return) or rental income for property, although the equity income will probably be a more significant factor, especially if it is reinvested, as rental income on small residential investment property will frequently see a large proportion of it spent on upkeep and mortgage servicing. The Land Registry House Price Index for England and Wales, although probably the most accurate, has only been going since January 1995 which is not really a long enough period to be useful. The period covered by the All-Share Index and the house prices at 38 years is long enough to cover some major upsets and setbacks in both the property and stock markets, and so is a reasonable guide, although a longer period would be even better. Given that equities outperformed, on the average, house prices during the same period and to quite a significant extent, what is the appeal of property investing? Well, the attraction is all down to one thing - gearing. Gearing, also known as leverage, is the ability to multiply gains (or losses). For property investing, it is the ability to borrow money in order to invest in it. Lenders are willing to lend money to buy property, and property mortgages are some of the lowest interest rate loans around. They are much less willing to lend money to buy equities - you are unlikely to find the standard lenders who are willing to lend you money on property willing to do so as a private investor on shares, at least at any interest rate which would actually make it worthwhile doing (brokers may allow you to buy stocks on a margin, but that is nowhere near the level of gearing that property has). For example, say you have £25,000 to invest. In the United Kingdom buy-to-let mortgages for investment property frequently lend at 75-85% of the property's purchase price, or its' appraised value if it is already owned. With a 75% mortgage this £25,000 can be leveraged to buy £100,000 worth of property, with the remaining 75% financed by the lender. If you are investing in the stock market, that £25,000 will buy you £25,000 worth of shares. Now consider that the percentage growth in both the stock market and property is the same over the same period to make the calculation simple. It's highly unlikely that it will be, but trying to do otherwise adds a needless complication for this purpose. Assume that the total value of each grows by 5%. Your £25,000 investment in the stock market gains £1,250 (the 5%), and is now worth £26,250. In comparison, take a look at the real estate investment. The 5% growth is not just on your investment of £25,000, but is on the total value of the property which includes the money lent out. The property price goes up from £100,000 to £105,000. You, as the owner, get to keep the entire £5,000 increase in the value. Your share has increased by £5,000, so that you now have £30,000, which is not a 5% gain but a 20% gain. That's four times the game for the same money invested. That's the appeal of property. This also assumes that at the best deal you can get you will be investing the full £25,000 as a 25% deposit on a house purchased at the full market value. It will likely take some shopping around, and possibly some refinancing, but it is possible to get better deals. Should you only be using part of your money on one house, the rates of returns increase. If you only invest £15,000, but still get the same increase of £5,000 on the total value, that's a 33% gain. It can even be possible, although usually more complicated and potentially more risky, to use none of your own money in a transaction which increases your gains to infinity. When either shares or investment property are sold at a profit, there is a tax consequence (capital gains in the UK). The exact amount of the consequence will vary, although there are investment vehicles such as Individual Savings Accounts (ISAs) in the UK which can be used to shelter equity investments that are held in them from income and capital gains tax. The amount that can be invested in them can be comparatively limited. With property, given the right local tax laws, it can be possible to take the profit and roll it into a new, more expensive property, thus deferring any potential tax liability into the future. Remortgaging an existing property is a way of releasing capital from that property with a new mortgage. This could be done shortly after the property is purchased, if it was purchased below market value, to get it mortgaged at a higher valuation. Lenders will, at the time a property is purchased, usually only lend based on the purchase price, and not on the actual value, if the latter is higher (if it's lower than the purchase price, you shouldn't be buying and they are going to be unwilling to lend). A property purchased for £80,000 that is actually worth £100,000 will, at a 75% mortgage, probably only be able to get a £60,000 mortgage at purchase, but one of £75,000 afterwards. The mortgage payments will be paid for by the tenant's rent. Later on in an investment, when equity has built up in the piece of real estate, a remortgage can be used to release that capital, which is still being paid for by the tenant. This could be invested elsewhere, or simply spent. This is a loan, and loans typically do not incur tax. Credit: SXC>HUWhat is the Downside of Property Investing? This potential for property to be leveraged to increase gains does of course come at the price of increased risk. It is far easier to lose your entire investment. A fall in house prices can easily put you into negative equity, where the money owing on the mortgage is more than the house is worth. Property is a powerful investment for increasing returns, but it can be powerful both ways, multiplying losses. Losing your entire investment can happen with shares, but this requires the entire company going under, which is possible, and does happen, but isn't that likely for a sound investment. Paying for the mortgage and other upkeep on an investment property is done by renting it out, with the tenant's rent being used to pay them. Should there be no tenant, there will still be expenses to pay such as mortgage, insurance and property taxes, as well as potential maintenance. Real estate is an illiquid investment - it takes time to sell. Whilst stocks and shares, excluding those of small companies that only have a limited amount of trade, can be sold almost instantaneously, even if the market is crashing (although that tends to be a bad time to sell). Simply contact your broker and ask them to sell your shares. Property, on the other hand, cannot be sold as easily. In a bad market it can actually take years to dispose of it. It can be quicker to sell at auction, with the sale potentially going through in a few weeks or a couple of months, depending on when the auction is, but in such a case you are practically guaranteed to be selling at below market value to other investors. Property is a good investment, and a good way of making a better return on the money you invest, but it can be dangerous. Try to reduce the danger by doing your homework before buying a property. Don't buy in areas that are difficult to rent, or are notorious for crime, which can make it harder to sell should you reach that point, and will increase insurance costs. Try to adequately protect yourself, through limited liability if possible. Lenders will want you to personally guarantee any loan you take out on a house so that, even if the house has negative equity, they can still recoup their investment if you fail to pay. You, on the other hand, do not. Property is real. Historically a source of wealth. And with the right strategies, it's always a good time to invest. Definitely. There is greater risk with the potential greater reward. Quite how much you should keep as a reserve can vary, depending on personal preferences, but something like x-months expenses assuming that the property is unoccupied is fairly common. My feeling is you need a balanced portfolio of investments. Both properties and equities have their inherent risk and rewards. Diversification will help reduce that risk. Property can be the most powerful way of building wealth, but it can be a good idea to have other investments too. As long as everything is protected so that loss in one area won't wipe everything out. Investment in real estate is always a good option, I think invest in residential project is better option as compare to commercial project. One of my favourite broker is propcasa consultancy which provide residential project at affordable price.